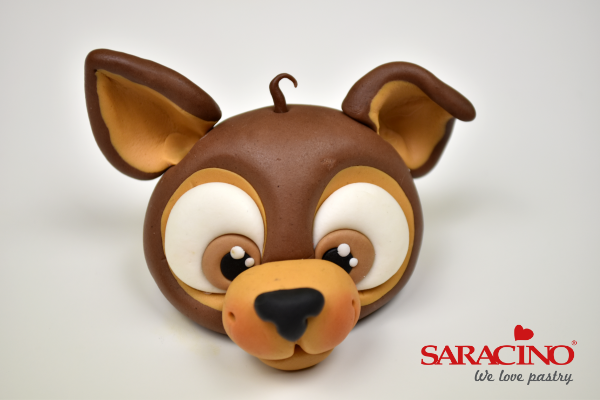 In this tutorial Vicky Teather from The Yellow Bee Cake Co shows you how to create Ralph, the super cute puppy. 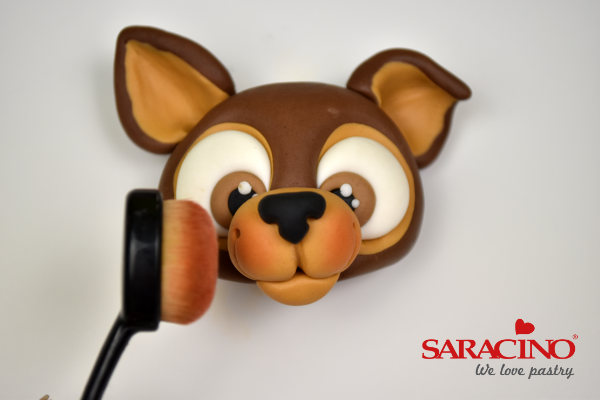 This tutorial is perfect for the dog lover in your life. 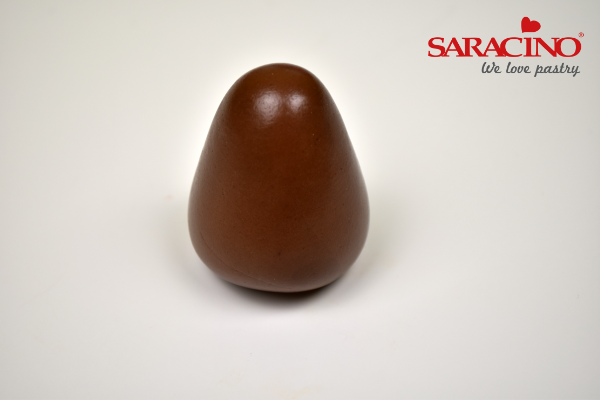 For the body, shape 35g of Brown modelling paste into an egg. Use the other end of the Bulbous Cone tool to press the paste away from the centre of the shape. 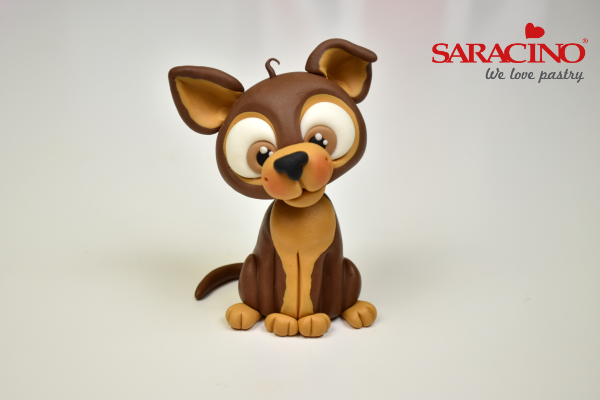 Smooth the paste with your fingers around the front legs to enhance and then use the Dresden tool to indent either side of the legs and a further line down the centre. Use your fingers to shape the paste to round off any harsh edges left by the tools. Sit the body back up on its end. Use your fingers to thin out the top of the body. Press the side of your finger into the body to create the haunches. Then use the Dresden tool to mark a distinct line around the haunch. Smooth the haunches with your fingers to round the shape and continue to mark with the Dresden until a crease has formed. 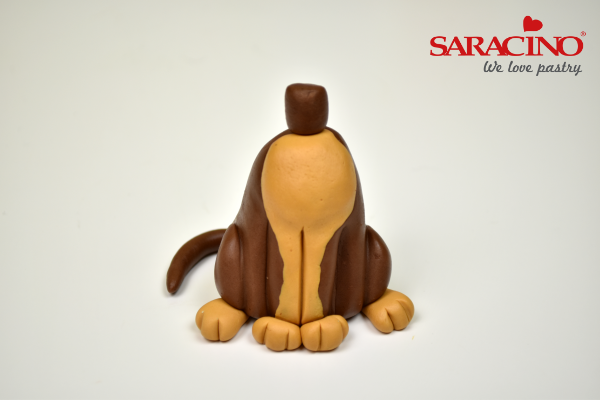 Colour 15g of the White modelling chocolate with the Caramel gel colour. 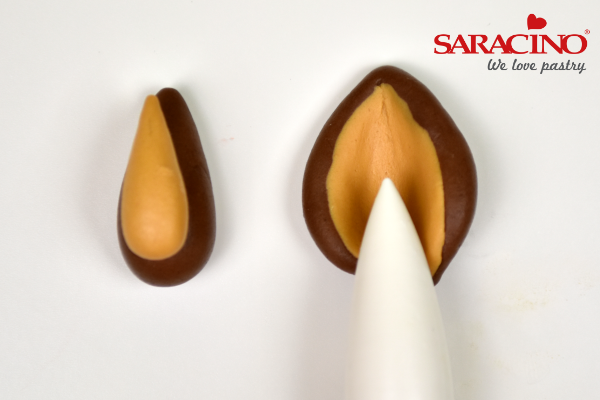 Take 5g of the Caramel paste and shape into a long teardrop. Place the wide end over the chest of the body and begin to smooth and blend the paste into the body using your fingers. Re mark the front legs with the Dresden. 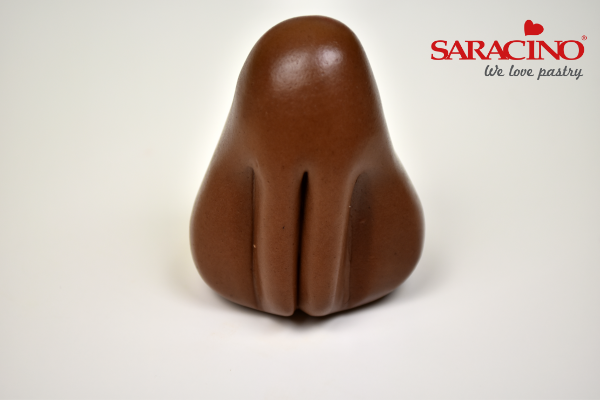 For the feet, take two small balls of Caramel paste and shape into hemispheres. Press the Dresden tool into the rounded edge of the paste twice and repeat with the craft knife to enhance the mark. For the back legs, take two larger balls and roll into cones. Repeat the above to mark in the toes. Glue the small feet to the front legs and the cone shaped feet underneath the haunches. 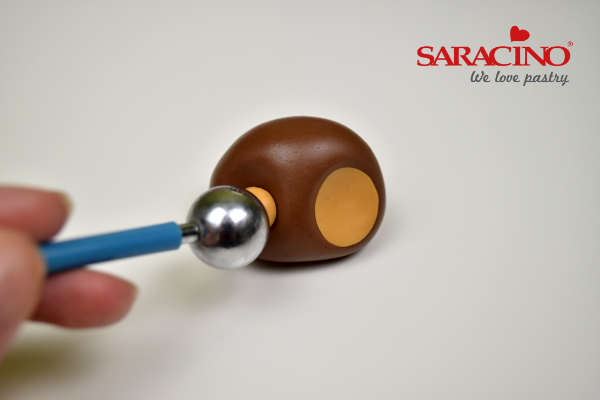 Roll a pea sized ball of Brown paste into a cylinder and attach to the top of the body. Roll 4g of Brown paste into a long sausage with a tapered end. Trim the paste to a 5cm length and glue in place. 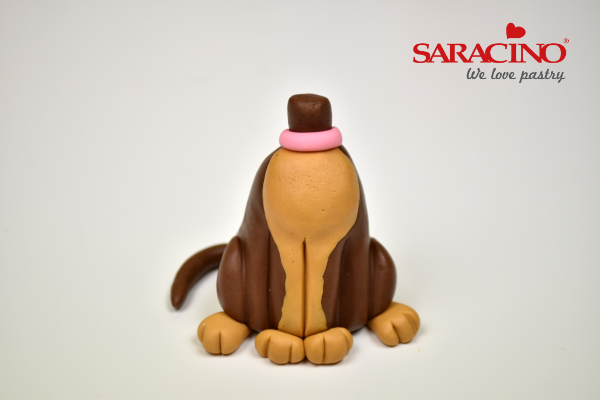 Roll the Pink modelling paste into a sausage and attach around the base of the neck. Push a cocktail stick into the neck and down through the body. 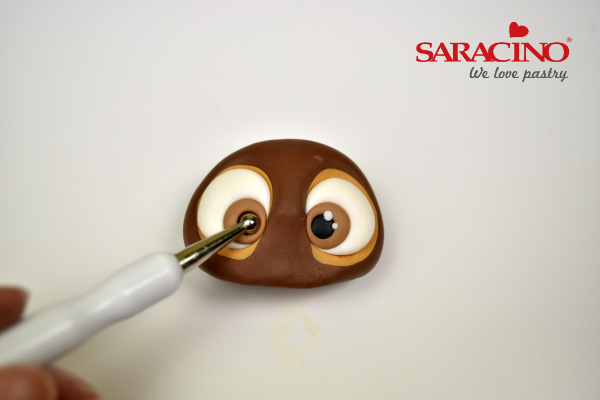 For the head, shape 35g of Brown modelling paste into a rounded dome. Press a large ball tool into the lower edge to create two wells. 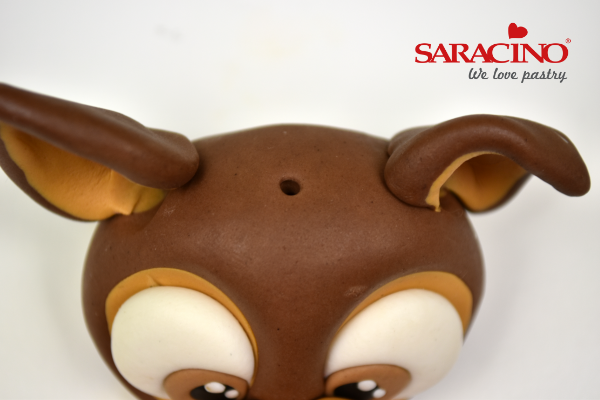 Fill the wells with a pea sized ball of Caramel paste and then use the ball tool to blend the paste into the head. Press a smaller ball tool into the inner corner of the eyes. Fill with a large ball of White modelling paste. The paste should bulge out of the holes. Use your fingers to gently flatten the front of the ball. Press a smaller ball tool into the inner corners of the eye. 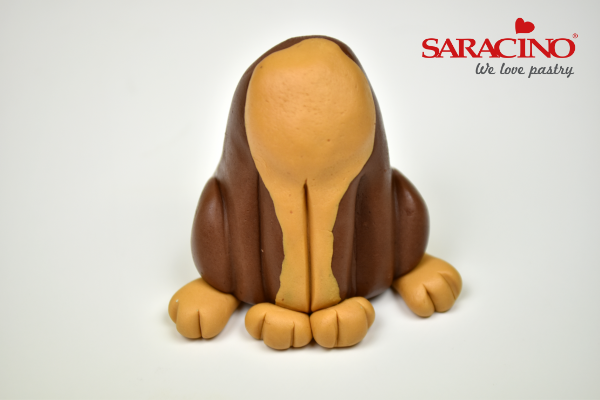 Fill with a 50/50 mix of Brown and White modelling paste. Repeat with an even smaller ball tool, to which you should fill with a small ball of Black modelling paste. Add two small balls of White modelling paste to each eye for a highlight. 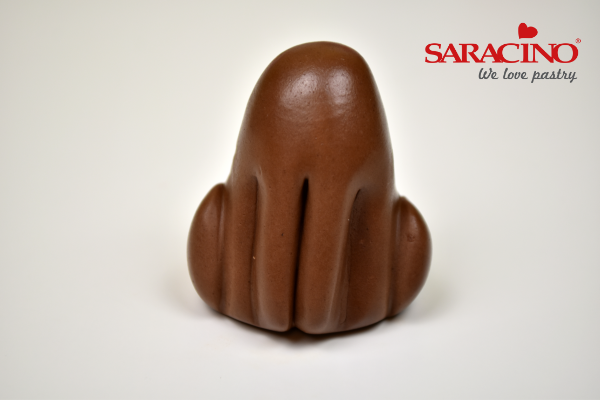 Shape 3g of Caramel modelling paste into an ovoid. Use the Dresden tool to mark a deep line down the centre of the shape. 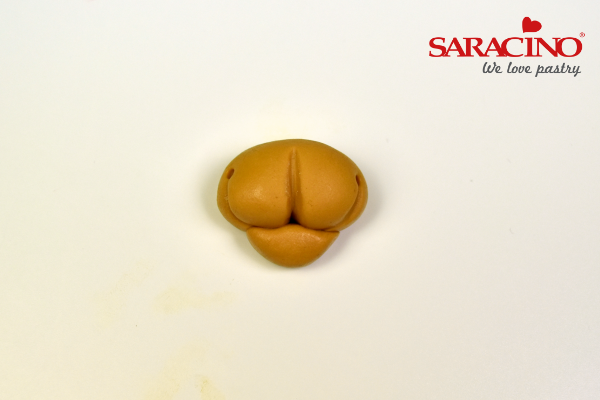 Draw in a mouth along the lower edge and use a mini ball tool to add dimples at either end of the smile. Add a small ball of Caramel paste to the lower edge of the mouth. 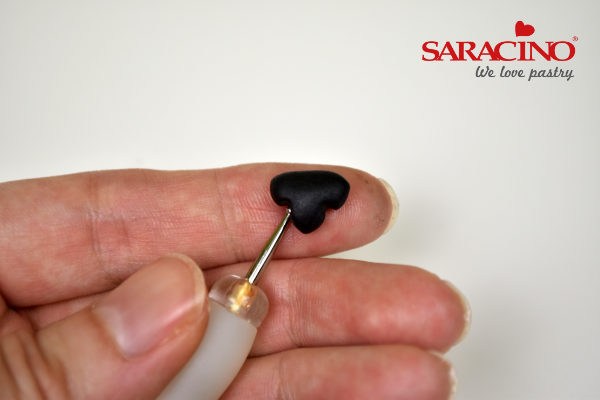 For the nose, take a small ball of Black modelling paste and shape into a triangle. 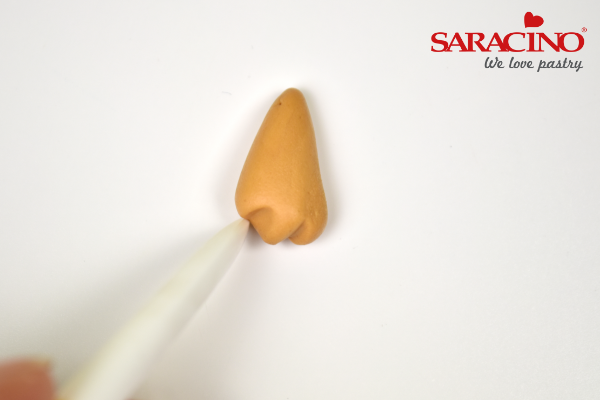 Press a small ball tool into the nose on either side of the point to create the nostrils. Glue the nose to the top of the muzzle and then glue the muzzle in place on the lower edge of the face. For the ears take two 2g balls of Brown modelling paste and shape into cones. Take two smaller balls of Caramel paste and shape into cones. Place the Caramel cone on top of the Brown cone and gently press the two together with your fingers. Then press the Bulbous Cone tool into the paste to thin the inner ear. Pinch the bottom edge of the ear together and then trim away the point to create a flat base. Glue in place on either side of the head. Bend one ear over slightly. Lightly dust the cheeks with the Red dust colour. 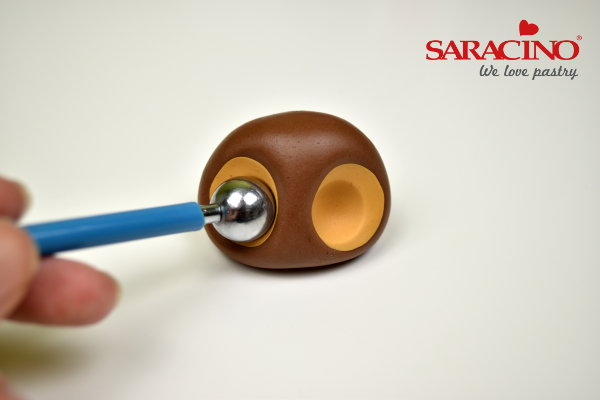 Press a mini ball tool into the centre of the head. 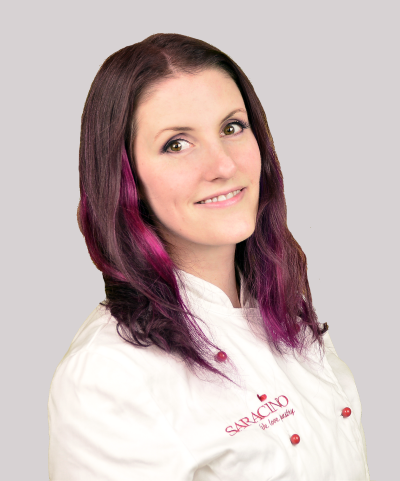 Roll a very fine sausage of paste and glue into the hole on top of the head. Bend the top into a curl. Glue the head at an angle on top of the body. Ta-dah Ralph is finished!